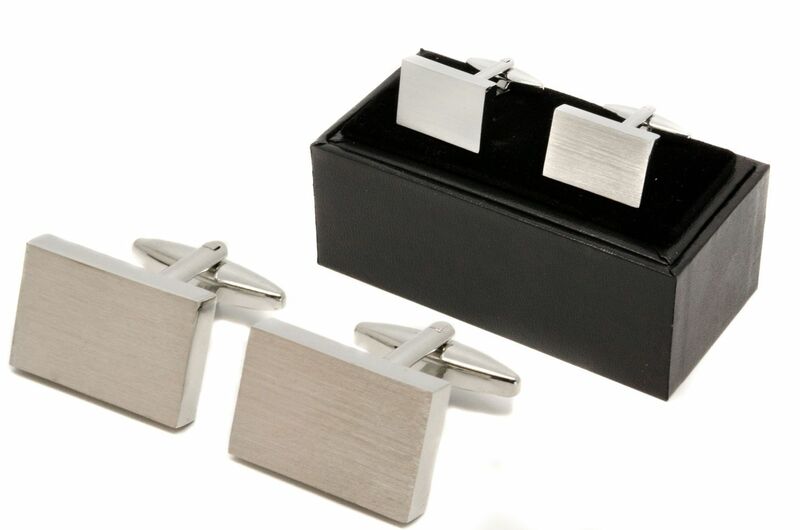 An extremely stylish pair of brushed chrome cufflinks for those occasions that call for smart attire. Supplied with a stylish black gift box that both protects the cufflinks when not in use, and beautifully presents them for the recipient. Dimensions of cufflinks: 2cm (L) x 1.4cm (W) approx.